﻿﻿I love to share in the euphoric feeling of a completed project! Here are some pics from ladies in my recent classes who have managed to get their UFOs (unfinished objects) turned into FOs (finished objects)! Ruth’s pair of floor cushions. Well done girls for sticking at it! Enjoy your magnificent creations! 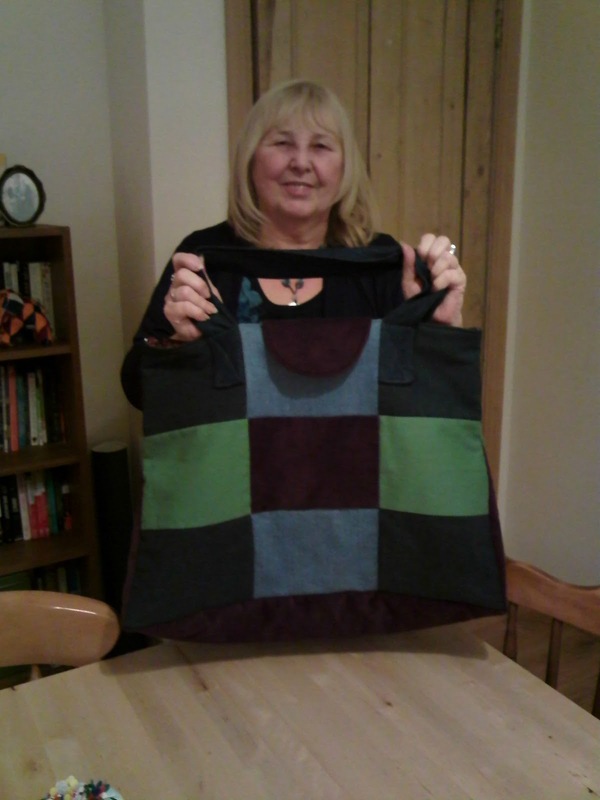 The weekend/project bag class finished last night. Here are two of the gorgeous bags! Maureen’s denim wonder, with a gorgeous Indian Sari for the lining. Sarah’s stunning bag in purple & gold! Previous Previous post: Flying Geese Finished!